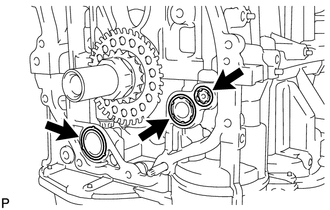 Do not remove the oil pump or oil pump relief valve from the timing chain cover sub-assembly. (a) Remove the 5 bolts and engine mounting bracket RH. (a) Remove the 17 bolts and 2 nuts. 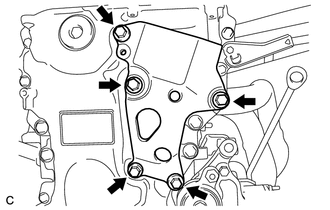 (b) Remove the timing chain cover sub-assembly by prying between the timing chain cover sub-assembly and cylinder head, camshaft housing, cylinder block and stiffening crankcase with a screwdriver as shown in the illustration. 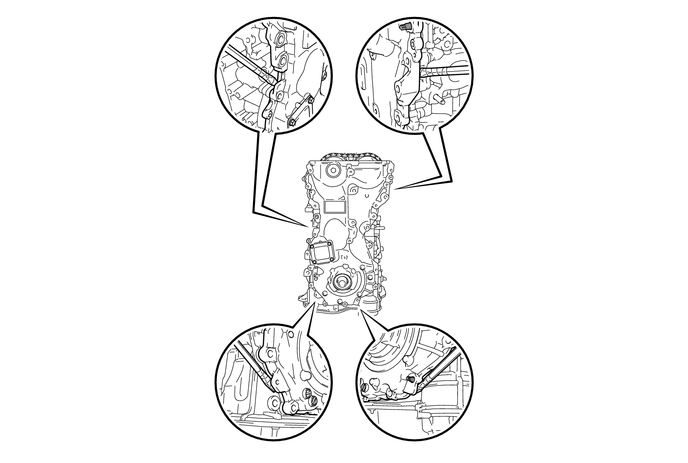 Be careful not to damage the contact surfaces of the cylinder head, camshaft housing, cylinder block, stiffening crankcase and timing chain cover sub-assembly. (c) Remove the 2 oil pump gaskets and oil hole cover gasket from the stiffening crankcase. 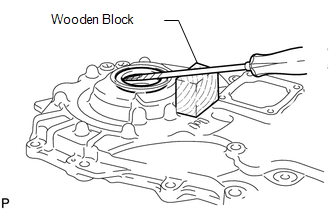 (a) Using a screwdriver and wooden block, pry out the timing chain cover oil seal. 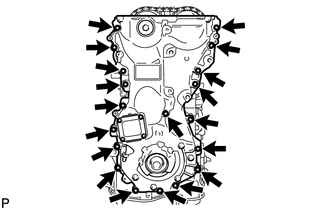 Do not damage the surface of the timing chain cover oil seal press fit hole.